Entrepreneur.com named Limor Fried one of their top entrepreneurs of 2012, and for good reason. The pink-haired founder has built a multi-million dollar company that’s based on tweaking existing technology to create new stuff; DIY technology if you will. This is Limor’s awesome startup story. Limor started building technology in her dorm as a electrical engineering Master’s student at MIT. (Phew, say that 10x fast.) Anyway, she got a kick out of applying what she learned in class and building objects that worked like light toys and MP3 players. She would post her DIY instructions on her personal site so others could learn how to build what she was building. Interest started to grow, and so did orders for the parts she used to build her homemade gadgets. With $10,00 from her parent’s tuition fund, she bought a bulk of parts, assembled her kits, and sold them for around $10 per unit. And thus her humble dorm-room beginnings turned into a multi-million dollar venture. Founded in 2005, Limor’s New York-based company Adafruit Industries now has over 35 employees and grossed $4 million in 2011. The MIT engineer wanted to create a place online for anyone, regardless of age or skill level, to learn how to build electronics and technology. Limor personally selects, tests and approves all electronics, tools and equipment built before it goes into the Adafruit store, so you know it’s quality. 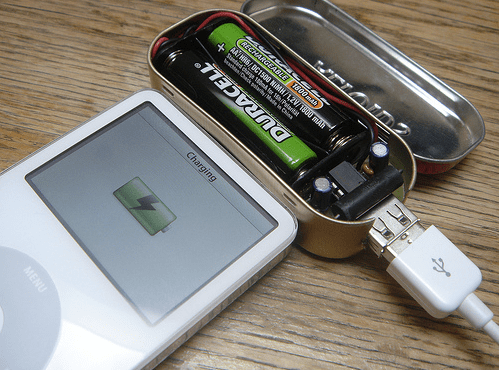 MintyBoost – This is a small battery-powered USB charger that has sold over 50,000 devices. It’s made out of an Altoids tin, Macgyver style. 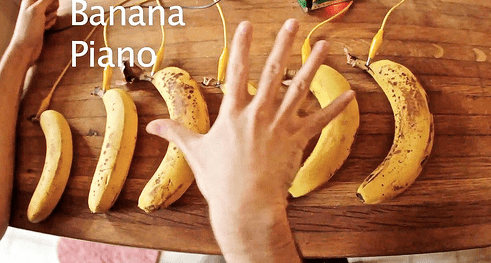 MakeyMakey – This amazing invention allows you to turn electricity-conducting objects (anything from a cat to a banana) into a keyboard or touchpad. Seriously, check this one out. For more on this quirky geek-goddess, check out her personal site here, or go to Adafruit and start making sparks fly.